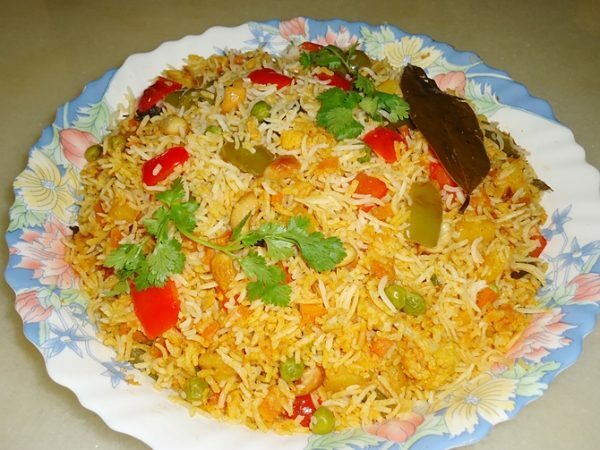 A Classic Indian vegetable biryani is a perfect dish for any occasion. Long grain basmati rice and assorted vegetables in a spicy masala are cooked in alternate layers under dum to give you a final dish that is a treat to your all of your senses. Whole spices, fragrant rice, nutritious veggies, and the aromatic saffron blend together perfectly in this vegetable biryani recipe and that is the magic of a good dum biryani. This is what I love to eat when a biryani craving hits! Tried, tested and loved by several of our readers this one is well worth a try. Serve with raita kachumber salads pickles papad.